Today my guest is author Sonya Watson. Read her interview below. I started writing to escape the real world because I found it a bit boring. I like writing Paranormal/Fantasy. I like writing these types of novels because I have a bit more freedom to create what I want. I was inspired by a break up and I hope the readers can feel the pain I felt through my words. I love writing love stories. I think because I hope that true love will find me some day. I really hate editing. I know it improves the story but it gets tiresome after a while. 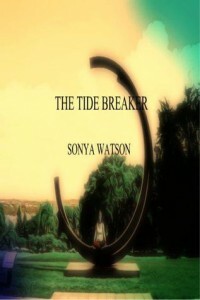 The Tide Breaker and it was released on September 28 2012. Life for me is quite boring at the moment. I get up, go to school, go to the gym, do some homework and afterwards go to bed. Blurb: Once upon a time, there was a sixteen year-old girl that lost both her parents under unusual circumstances. Abrianna was lonely and found some comfort in the arms of her boyfriend, Michael. Life turned grim when she realizes that a man, who was once the enforcer of fate, wanted her to die. The disgraced enforcer had taken great steps to ensure Abrianna’s death and planned to do this by enlisting the help of humans and creatures without their knowledge. Evil had washed over the land the humans named Dainesville. Abrianna had the power to heal the land and when she did she would return prosperity to the lives of the townspeople. When the time came for Abrianna to stand alongside her half-brother, Stephen, to fight the coming evil she did so without hesitation. Life ended. Darkness fell. Love faded. The End? 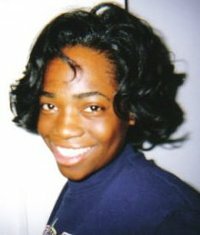 Author Bio: Sonya was born in Mandeville, Manchester, Jamaica but moved to Canada eleven years ago. She discovered writing when she was eleven. However, was unable to pursue it since she lived in a country where writing was impractical. She rediscovered the art during third year at York University. Kinesiology, the program she was enrolled in, was no longer simulating and found herself questioning her purpose in life. This led her to poetry and poetry led her to writing novels. This entry was posted in YA, Young Adult and tagged Fantasy, Page Turner Book Tours, scifi, Sonya Watson, The Tide Breaker. Bookmark the permalink. Thank you, Sonya for visiting today and good luck with your debut book.